Our Board of Directors - Resounding Joy Inc.Resounding Joy Inc.
Mychelle has more than 30 years of experience as a business consultant, clinical nurse practitioner, and executive and professional services consultant, specializing in information technology software development, strategic planning, implementation, and support of clinical and research systems. She has worked and researched in the areas of clinical infomatics, healthcare economics, and business strategies, taught at the graduate level, and lectured throughout the world. Mychelle also has authored numerous articles and a book related to healthcare economics and information technology. Now retired, Mychelle, her husband, and two poodles live part-time in Colorado and part-time in San Diego, within driving distance of her son, daughter, daughter-in-law, and grandson. 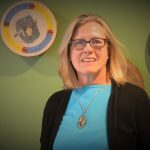 She has been a past board member for several charities and currently works with People Comforters, an organization in Evergreen, Colorado, that makes quilts for abused women and children, accident victims, and anyone that the local sheriff’s department deems is in need. Each law-enforcement vehicle is equipped with three People Comforters quilts at all times. Mychelle has participated in musical events on and off over the course of her entire life. Singing is her joy. 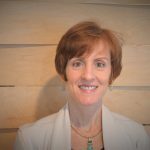 Patti Cuthill joined NextLevel Internet in 2017 as Manager of Human Resources. In 2018, she was appointed to Director of People & Culture. Ms. Cuthill started her career as an Intelligence Office in the United States Navy and was honorably discharged after eight years of service. Prior to joining NextLevel Internet, she held roles in Human Resources for CPU Medical Management, Rock Cancer CARE, CliniComp International, Rock Church & Academy, and Comic-Con. She received her Human Resource Management certificate from San Diego State University. 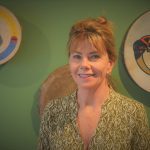 Ms. Cuthill has prior service as a board member of San Diego Food Bank and Neighborhood House Association, and also serves on the Military Transition Services Team at Veteran Affairs of North County. Patti was originally drawn to Resounding Joy because of her love for music and the impact the organization has on seniors with Alzheimer’s, veterans with PTSD, and children with cancer. Her connection is very personal, as she lost her father to Alzheimer’s in 2015. Her passion is to be part of an organization that brings joy to seniors and their families during a time where there can be so much sadness and suffering. Diane is recently retired from rewarding work in business focused in sales, marketing and business management. She enjoyed the diversity of working for a variety of large and small, public and private companies in retail, marketing and manufacturing including Target, Electro-Graph, Plansee, and others. Over a wide range of projects, the benefit of using a targeted strategic approach gained sustained success in Europe, Asia, and the US. With a deep understanding of the similarities as well as the differences there are in people, companies, cultures, she uses that knowledge to build alliances. She exhibits a combination of big picture view with the important attention to detail to garner successful results. Even in the face of adversity she stays true to her ethics for truth, honesty, and fairness in all her dealings. She appreciates the value of teamwork and demonstrates strong collaborative team building skills (laughing together is good) to achieve great results. Growing up in rural Minnesota, Diane acquired a true appreciation of the wonder of nature. To this day she still takes time to enjoy beautiful sunrises and sunsets. Her enjoyment of farming has translated to a joy of gardening in the urban setting. Other leisure time enjoyments include traveling, cooking, outdoor activities like hiking and golf, and reading. Diane enjoys include music, teaching, activities with kids, care giving for seniors, activities that benefit homeless, low income elderly and the working poor. Some of her favorite volunteer places include TACO, Resounding Joy, and Calvary Lutheran Church. Monty A. McIntyre is a civil trial lawyer, mediator and arbitrator who has been licensed in California since 1980. He has been a member of the American Board of Trial Advocates (ABOTA) since 1995. At that time, ABOTA required a minimum of 20 civil jury trials to conclusion to qualify to apply for membership. In recent years, Monty has worked primarily as a mediator helping lawyers and clients settle civil cases, and as an arbitrator hearing and deciding arbitration cases. He uses his extensive experience having tried to conclusion more than 100 civil cases, including numerous jury trials, judge trials, arbitrations, medical board hearings, and hospital peer review hearings. Monty has handled cases for both plaintiffs and defendants in a variety of areas including business, insurance bad faith, medical malpractice, personal injury, professional licensing, real estate and wrongful death actions. He has obtained more than $50 million in settlements and verdicts for plaintiff clients, and has obtained numerous defense verdicts, summary judgments and favorable defense settlements for defendant clients. Monty’s last three civil jury trials in the San Diego Superior Court resulted in unanimous jury verdicts for his clients. Monty is a leader in the local and national legal community. He currently serves as a member of the National Board of Directors of ABOTA. 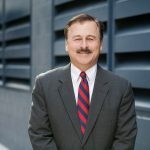 He served as the President of the San Diego Chapter of the American Board of Trial Advocates (ABOTA) in 2014, and the San Diego County Bar Association in 2002. From 2005 to 2012, Monty was a delegate in the American Bar Association House of Delegates. From 2006-2010, he served as a member of the ABA Standing Committee on Judicial Independence. From 2003-2006, Monty was a member of the Executive Council of the National Conference of Bar Presidents. Monty loves music. He plays guitar, sings, writes songs, and has performed both solo and in many groups. He released a CD entitled “Homeward Bound” in 2001. Monty is also passionate about spending time with his family, golf, history, learning and wine. Anita attended Washington University in St. Louis, Missouri, where she earned a bachelor degree in psychology. She went on to earn a master’s degree in business administration from St. Louis University before starting her own business as a personal trainer and business consultant. 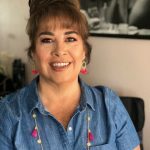 Anita has served on the councils of several San Diego churches, including University Lutheran Church, St. Paul’s Lutheran Church & School, and St. Mark Lutheran Church and Preschool. Anita also completed a year of service on a Lutheran school board, helped to establish a preschool while serving at St. Mark, and, in her current church home, she recently completed a four-year term on the Calvary Lutheran Church Council. Patricia attended Pace University in NYC where she earned a degree in Business Administration. She began her career at the United Nations providing administrative support to their peace keeping operations around the world. She later transitioned to the for-profit world where she developed her market research skills and later worked for Citibank in commercial real estate investment and management and then for a real estate consulting firm. Pat returned to the non-profit world when she moved to San Diego working for a recycling organization as their Director of Public Education. While raising her son, she worked as an independent contractor for several start-up companies. As member of the American Association of University Women, she has chaired their scholarship committee. In 2017 she was awarded Volunteer of the Year by the North County Philanthropy Council. Pat lives in Rancho Penasquitos with her husband and son and enjoys reading, yoga and gardening. As the former director of development and marketing for Feeding America San Diego (FASD), the largest distributor of donated food in San Diego County, James oversaw all fund development and communications efforts to support the FASD mission, including the raising of $6.2 million in the 2015–2016 fiscal year through growth in individual, corporate, foundation, community organization, and government support. In addition, James was responsible for engaging the community in the issue of hunger by growing a positive perception of the FASD mission and the people it serves and mobilizing the public to help end hunger. 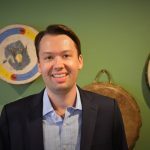 In his previous role as individual-giving manager at FASD, James was responsible for the direct-mail program, major gifts, donor recognition, the donor database, and all individual-giving campaigns. Under his leadership, FASD individual giving grew from 34% to 50% of overall fund development, and the donor database grew from 9,000 to 25,000 donors. Prior to his work with FASD, James served as development manager for the Federation of American Scientists, a national science policy think tank in Washington DC. James grew up in Hawaii and graduated from The George Washington University with a bachelor of arts degree in political science. He holds a master of arts degree in nonprofit leadership and management from the University of San Diego. James is a member of the Association of Fundraising Professionals and is also an active volunteer tennis and golf coach for the Special Olympics Southern California. Resounding Joy is fortunate to have attracted and benefited from the dedication and expertise of all its volunteer board members, whose terms of service we gratefully acknowledge in the table below.